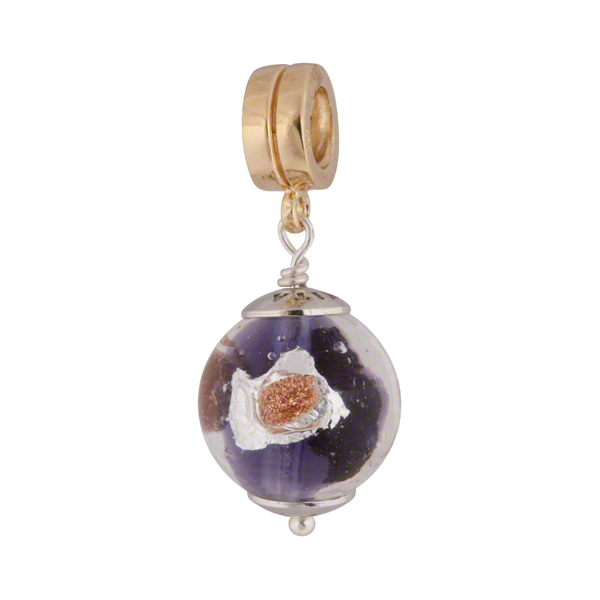 This is our LUNA Series with internal transparent Blu Inchiostro (a plum purple) encased in clear Murano Glass and splashes of 24kt Gold Foil, .925 Sterling Silver and Aventurina to create this vibrantly colored charm. Sterling components and a Vermeil (Gold plate over Sterling Silver) are used through this charm. It is compatible with PERLAVITA jewelry as well as Pandora and Chamilia charms and beads.